A few weeks ago I walked into Anthro during a sale. Of course I wanted everything on the sale table, but settled on a pretty candle that came in a wood box. I think I just bought the candle BECAUSE of the box. I knew I would have another project to keep me busy for a few afternoons. 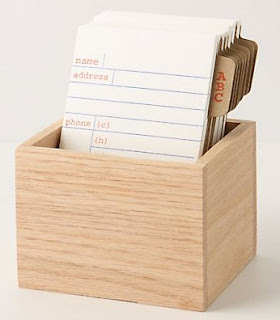 The box is exactly like the one below, except it had a candle in it and not an address book thing. Oops paints at Home Depot are my favorite! Be prepared to use ALOT of tape for this project. She said Wiss are the best and would last me YEARS if i get them sharpened. So now this new green box lives on my desk, and it holds some fabulous new scissors. My friend Stacey has a little table disease (constantly buying them for her house!) - I think you have a cute little painted box disease! This one is super cute!! That looks amazing! I would love to try it, and I would paint it navy blue! I love all of your painted boxes. They have inspired me to freshen up some of my boxes. gorgeous! love the pattern. and your final project looks so high end! 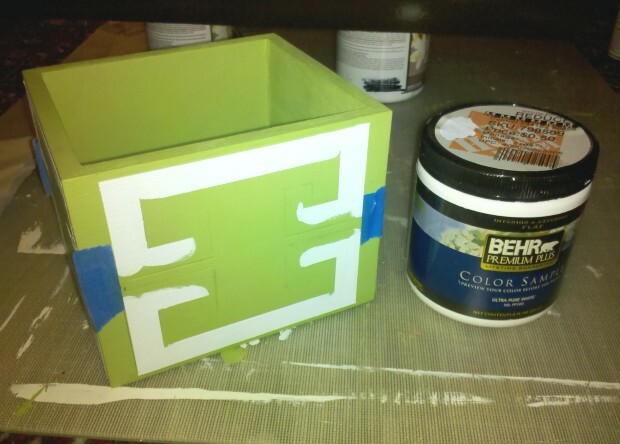 do you sand the boxes before you paint them? if not, do you have issues getting the paint to stick? gorgeous! love the green and white! good gravy that's fabulous! I'd have bought the candle for the box as well. Love it. oh my gosh. just came across your blog. I am in love. Love this little project!!! So fun! To keep those scissors sharp and pointy make sure to put some rice or something similar at least a 1/4 of the way up in your cubby so they don't get all mangled from tossing them back into the box. That box turned out extra FAB!! You are a whiz with boxes! It looks awesome. Love that shade of green. Paint or thread...I'll be here! Great project and creativity! I love your finished product and its design! You are seriously talented. Love greek key - and the green is fab! VERY chic! I was just in anthro today, buying a ton of props for Dessert First, The only thing better than having the whole store to myself in a snowstorm? Buying 6 bags worth of stuff with someone else's money! What a great day! I LOVE THIS! it is very inspiring. I've been slacking on my DIY's lately. You are so creative! Love this so. Love this! I've pretty much decided to just go ahead and copy all your ideas for my home when it comes to boxes. They're all so dang perfect. What a fun project. I left you an award on my blog today! You are one crazy gal with tape! Love to adopt you as my sister. I have lots of projects that could use some sisterly love. Patricia- we should have a painting day, I can paint boxes and trays and you can paint your beautiful illustrations! That would be so much fun!! Love how you reinvented that plain little box. It looks great! 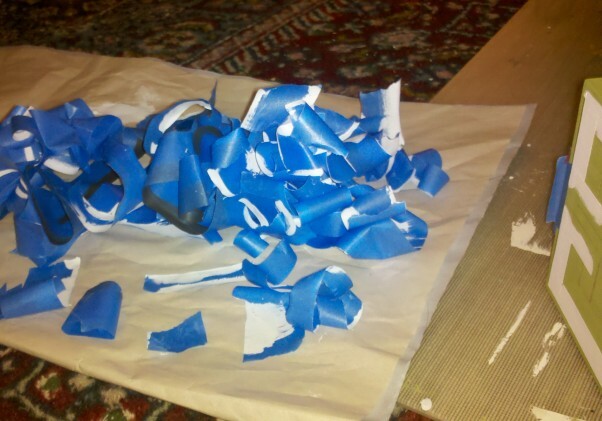 Nice to know too I am not the only one picking up oops samples for little projects I know will come up "someday"!